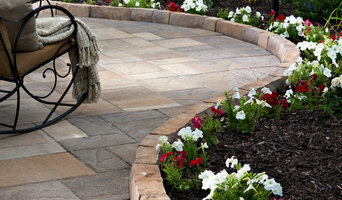 We are a family owned and operated business located in Sterling, VA. Our passion for landscaping, attention to detail and hard work has taken our company to the next level. At Bainbridge Outdoors, our dedicated management team, long-time tenured foremen, and skilled laborers are committed to Bainbridge Outdoors' 100% customer satisfaction rate! DDLA Design is a Landscape Architecture studio focused on the exceptional design and construction of modern residential gardens and outdoor living areas for luxury homes. Based in Dallas, Texas, our staff has extensive experience in the design of many luxury homes in some of the most exclusive neighborhoods. Our staff focuses on working directly with clients, Architects and builders to create unique and inventive design solutions that blend the architecture and the landscape together to fit the lifestyle of each individual client and their family. Give Lance Dickinson a call at 214.600.1415 to find out more about how we can help you realize the vision and potential of your property. Grace Design Associates specializes in High End Custom Landscape Design & Build Our work has received numerous awards including International Landscape Designer of the Year. 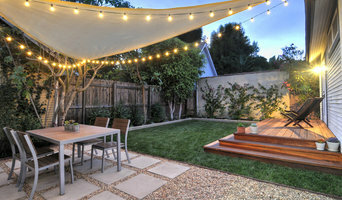 We are lucky enough to live and work in Santa Barbara where we prize and appreciate Outdoor Living and Fantastic Gardens! We help quality minded home owners avoid mediocre outdoor spaces by providing sophisticated solutions to their landscape issues with a focus on customization, craftsmanship, and high attention to detail. Our "Legacy Method" brings families together to enjoy a long-lasting, high impact outdoor space for years to come. Knäak Design Group is a progressive landscape architecture and planning firm known for the design of beautiful private residences, master planned communities and recreational amenity centers. We create innovative design solutions tailored to our clients' needs, lifestyle, and modern day luxuries in outdoor living. Our pride and ingenuity is characterized in our work and projects, and through our past clients' glowing testimonials. Our ultimate goal is to exceed your expectations by designing an outdoor living space that forges a lifetime of enjoyment and shared memories for you and your family. George Ocampo started out in the pool industry as a designer and worked for one of the largest 40 year old custom builder in the US. During his time there, he won the most design awards nationally for that company. He quickly realized that he wanted more than just building a product. George wanted to take his design, nationally awarded work and experience to deliver the finest product with the best service. George doesn't just design an idea, he works off the feeling of his client and their needs then spends the majority of his time to prepare the project. George sets the benchmark: grading, drainage and enhanced foundations to allow the product, remodel or outdoor living to look like new, years after completion. 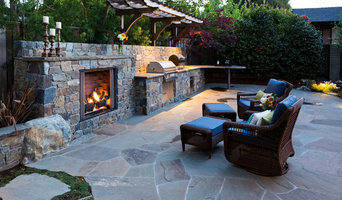 GO Designs strives to create a quality space with good energy, balance, flow, quality materials and a solid foundation. George will turn any vision into reality and have the process move as smoothly as possible to create the true meaning of a "home". "Concept to completion"...we are a small boutique custom design and installation company. We have a APLD certified in-house designer that will work with you to give you the best possible options for your property. Our vision — is to design and create a unique and personal landscape environment that draws you out of doors and connects you with the beauty of nature. Once there you will find yourself in a garden where you can relax, play or entertain and restore your spirit! We believe an effective landscaping project begins below the ground, with great soil, irrigation and effective drainage. Understanding the conditions beneath the ground will help guide the selection and installation of plant materials. We design by incorporating existing plants, structures, architectural style, hydro-zones, sun hours per day and the client’s expressed desires. Then we begin to compose a composition that has unity, balance, interest, harmony and movement! We look at the existing color pallet and ways to enhance and compliment it using color, contrast, form and texture! We welcome collaboration and feedback as this is meant to be a fluid process with the most satisfying results. If you would like a hands on team that is highly trained, certified and licensed, to do your entire landscaping project, we can do that for you! Go to our website www.ravenscourt.us to find out more about us and fill out our questionnaire. Once we receive it we will call you and set up a site visit. 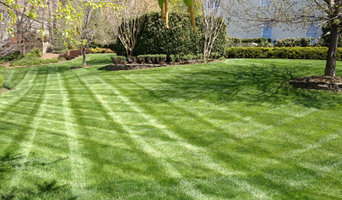 You may want to check out our blog at <a rel="nofollow" target="_blank" href="http://ravenscourtgardens.com/">http://ravenscourtgardens.com/</a> it is a Houston-centric blog with tons of useful gardening and installation information.